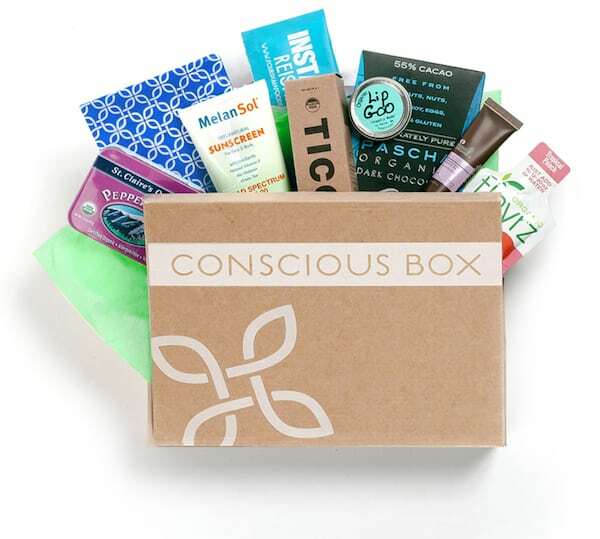 Get a Free Conscious Box! Among the many monthly box-in-the-mail subscription services, Conscious Box is one of our favorites. All the products in Conscious Box are natural, eco-friendly, ethically made, and (best of all) useful! For those who are avoiding grains and dairy, Conscious Box even offers gluten-free and vegan subscriptions. Note that this is a subscription, so if you just want one box, you’ll have to cancel your subscription after the first one. Oh My Veggies readers can get their first Conscious Box (“Taster” size, or $13 off the “Plus” size) for free by clicking on this link and using the coupon code FREETRIAL. You just pay shipping!